Landers Chrysler Dodge Jeep Ram of Norman near Moore, Oklahoma has an awesome selection of Jeep Grand Cherokees for sale. One of the most popular Jeep models of all time, the Jeep Grand Cherokee has a few rumored – -and some confirmed — updates for its potential 2019 model. Although Jeep has not officially released any information about the 2019 Jeep Grand Cherokee (including a release date or any specific details), some small gold nuggets of info have been found regarding the upcoming upgrades to this beloved SUV. Click here to see our current inventory of Jeep Grand Cherokees! The first of these updates coming to the 2019 Jeep Grand Cherokee will be to its underpinning; CEO Sergio Marchionne confirmed the new Jeep Grand Cherokee would utilize the same platform used for the Giulia sedan and the Alfa Romeo Stelvio SUV, its first upgrade since 2011. Marchionne also inadvertently confirmed the new Jeep Grand Cherokee will come in two-row and three-row options, giving the Grand Cherokee the ability to bring along even more passengers on fun excursions. Although an official release date has not been announced, the next Jeep Grand Cherokee has two more exciting known updates. The first of which is Level 2 self-driving capability, which means the 2019 Jeep Grand Cherokee would be able to steer, accelerate, brake and change lanes on highway drives. Secondly, the product plan confirms a Jeep Grand Cherokee hybrid powertrain but no more information exists beyond that. Is today the day you take home your own Jeep Grand Cherokee? 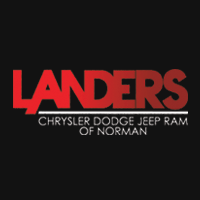 Stop by Landers Chrysler Dodge Jeep Ram in Norman, Oklahoma and we will fix you up. You are welcome anytime!